Grab your magnifying glass, gumshoes! It's time for some serious detective work. Detect This! 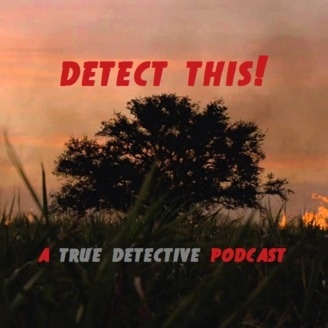 is Film Geek Radio's weekly podcast devoted exclusively to discussion of the HBO television series TRUE DETECTIVE. 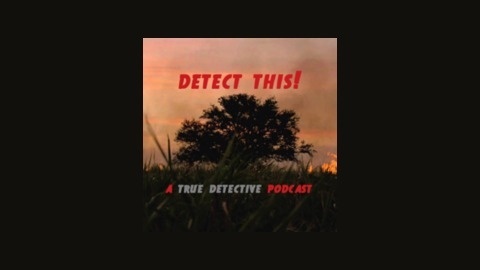 Join Andrew and Charlie (from Avenging Angels and The Briefing Room) as they go week-by-week through each episode of the series, looking for clues to determine whether or not it's a great show. Can A-list movie actors effectively make the leap to the small screen? What are some of the deeper themes the show is trying to explore? The only way to find out is to tune in and help us Detect This! It's over. After eight episodes of angst, corruption, and lots of head-scratching, the second season of True Detective ﻿has come to an end. But did it go out on a high note? This week, Charlie and Andrew discuss the second season finale, "Omega Station." Does it do a good job of setting up an engaging dynamic between the two central couples? Is the show racist, or just crafting a racist character? Does Ray's fate make any sense at all? Are the final moments emotionally manipulative? And did Pizzolatto succeed in going full Oedipus Rex? Tune in for a conversation about all that and more, plus listener feedback. 38:30 - Is this show racist? DON'T FORGET: You can contact the show by emailing detectthis@filmgeekradio.com or leaving a voicemail at 336-793-2509. Thanks for listening!